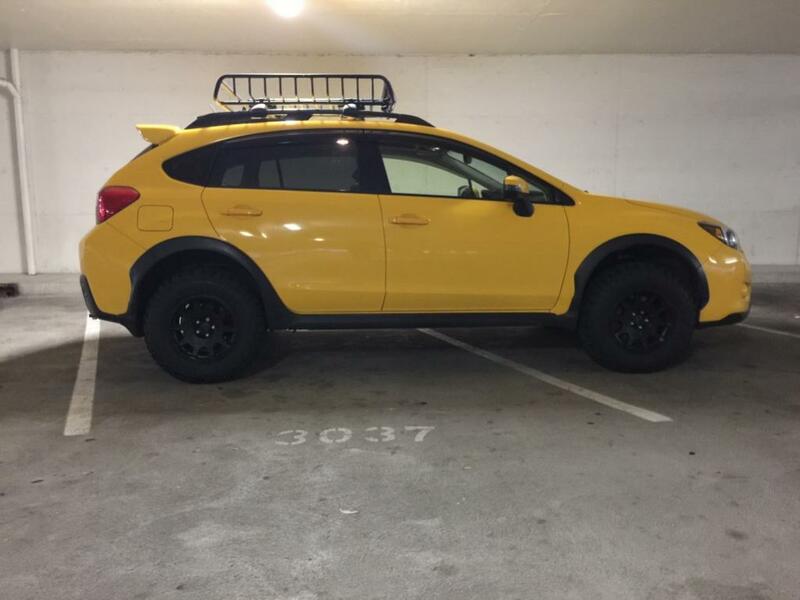 Hey guys, want to see if anyone has the Eibach prolift spring kit installed on their 13-17 Crosstrek. No experience with the Eibach kit on the Crosstrek. However, I have a Rallitek .25" spring lift kit on mine. Thoughts that might help (even though not kit specific). - Eibach makes quality springs. Your choices that I am aware of are Eibach, Rallitek, and King for springs. I do not think you will be unhappy with any of them. - I would install new struts with the springs and new strut bearings/mount. The general consensus is that KYB Excel is better than OEM. - Eibach makes some alignment kits that you might need to use to get your alignment back in spec. You might be fine without it. - Primative Racing offers a lift kit with the same height increase as Eibach (they use King Springs). They sell their kit with subframe and sway bar spacers. I do not know if these items are necessary, but I believe that ride quality is probably better with things adjusted out to account for the additional spring height. Thanks man, i went ahead and just bit the bullet and ordered them.. they'll be here friday and installed by Eibach next month. JS really looking forward to hearing what you think of the Eibach kit. I've been looking at getting that one as well. Would love to hear your thoughts! Just installed it on my 15 XV. For the price, well worth it. Rides stiff, but I prefer it. Last edited by jznsx69; 03-25-2019 at 12:05 AM. Trekaroo and kylepong like this. Got it installed by B3 Garage in Santa Ana, CA. They did a great job with an extremely fair price. Overview, rides firm.. I wouldn't say stiff. It honestly feels like what the car should of came from factory like but i come from pickups and sportier cars. The only thing i recommend is getting the rear shock extension or you will get a little thud over bumps if you go faster but its not a bad thud and doesn't bug me enough to get them redone. I would say overall, i am extremely happy with the look and the performance and the amount of reduced body roll. I highly suggest these. I have about 200 miles on them now and couldn't find anything at all to complain about except the thud..
Again it's not enough to make me want to have them redone but for anyone who is getting springs i recommend the extension. I will likely get them when its time for new shocks. I dont have any good photos now but this is right after it got done at the shop. Looks like you are running the 215/75/r15s? Any rub w the lift?